Want to embed a Facebook post into WordPress, including the ability to see the images, likes and comments for that post, plus the ability to like, comment and share on Facebook directly from WordPress? Facebook now allows you to do that. Now you can embed anyone’s Facebook post, including your own, as long as it’s shared publicly, into a WordPress blog post. Not very elegantly, mind you, but you can. The first step is to get the URL for the post you want to share. To do that, look right below the name of the person or page posting the content to find the date. If there is a globe icon next to that date, it’s a public post and can be embedded. Hover your mouse over the date and it becomes a clickable link. Click the date, and it will open up a new page. Copy the URL for the page that just opened, it is the URL for that specific post. At this point, you have two options, one easier, the other harder. 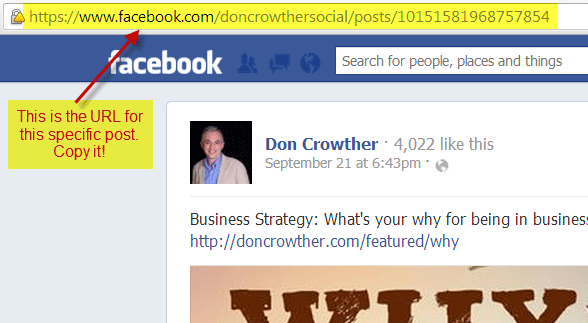 The official Facebook plugin is by far the easiest way to embed a post. Unfortunately, many find it difficult to configure for their site. Put your cursor where you want it to appear in the text, then paste the URL of the Facebook post where you want it to appear in your WordPress post. Save and preview your WordPress post. The Facebook post will automatically appear. If you don’t want to use Facebook’s official plugin, you can still embed posts, it just takes a bit more work. The first thing you need to do is to get the embed code for the post you want to display from Facebook. 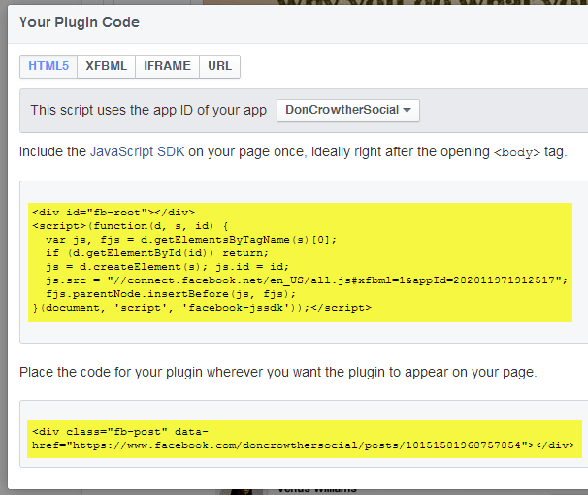 Do that by going to Facebook’s Embedded Posts page in their developer’s section. After all of that, here’s my question – when do you plan to embed Facebook posts into your WordPress blogs? I can certainly see applications (embedding someone else’s post, embedding a great comment you received, etc.) but I’d love to hear your ideas. Let me know by leaving a comment below. And don’t forget to Like, Share, Tweet, Pin, +1, and Tumble this post!